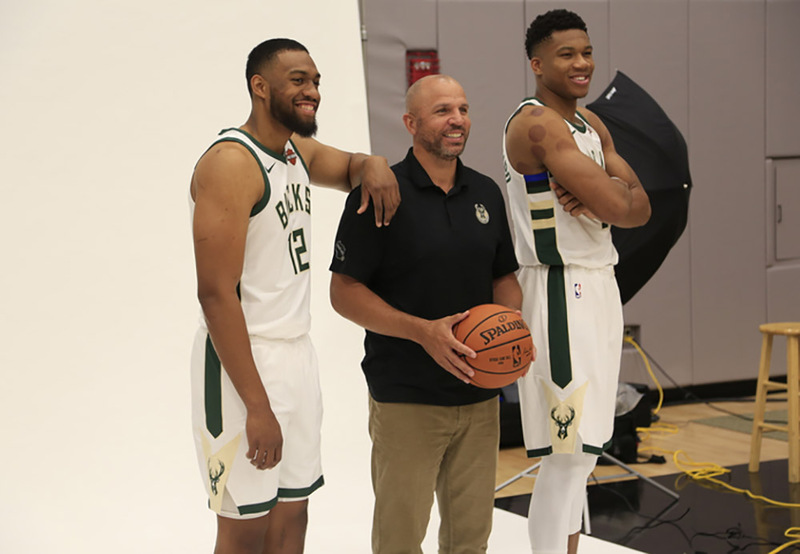 As I get to ready to begin my fourth season as the coach of the Milwaukee Bucks, it’s hard not to reflect on how far we’ve come in this journey. The slogan here the last couple of years has been, “Own the Future,” and I think our future is bright. But when you talk about some of the players who have developed and who have gotten better, now it is a matter of, “How do we continue to grow? How do we not just own the future, but own the moment, as we speak?” How can we be in the moment, and find a way to win? We start by looking back at last year, and how it ended. In Game 6 against Toronto, we came all the way back and we were exhausted, so we didn’t move the ball down the stretch. Maybe Toronto was exhausted too, but they overcame it. We just kept throwing the ball to Giannis, thinking he would bail us out, instead of moving the ball. Even if we were tired, we needed to continue to move the ball until the defense broke down to get a wide-open shot. An ending like that, it leaves a bad taste in your mouth. It gives you the feeling that we let one get away. We’ve been stewing in that all summer. Hopefully we can learn from that experience, and when we are in that situation again this season, we will be able to move the ball, trust that it will find the open person, and that person will knock down a shot. I think being able to learn from those experiences, no matter who you are and what part you play on the team is important. It’s looking in the mirror and saying, “How can I better myself, for my team?” The answer: Make sure that when that time comes again, you know how to handle it. It’s not just a one-man effort. We can’t just rely on one person to bail us out. I’ve seen that from our guys through training camp and the preseason. I’m excited about the way they’ve worked, understanding what we went through last year, the ups and downs, and trying to learn what it means to be consistent. Winning is great, but how do we minimize our losing streaks, keeping them to two to three games instead of losing 10 out of 11? But right along with that mindset comes trusting the system. Most of these guys have been in the system for a couple of years now. That continuity is huge, and I think it starts at the top. Our ownership has talked about continuity, and they backed that up this summer by keeping everybody intact, especially the core, and letting the core develop. We did have a change at the general manager, but our new GM, Jon Horst, has been here. 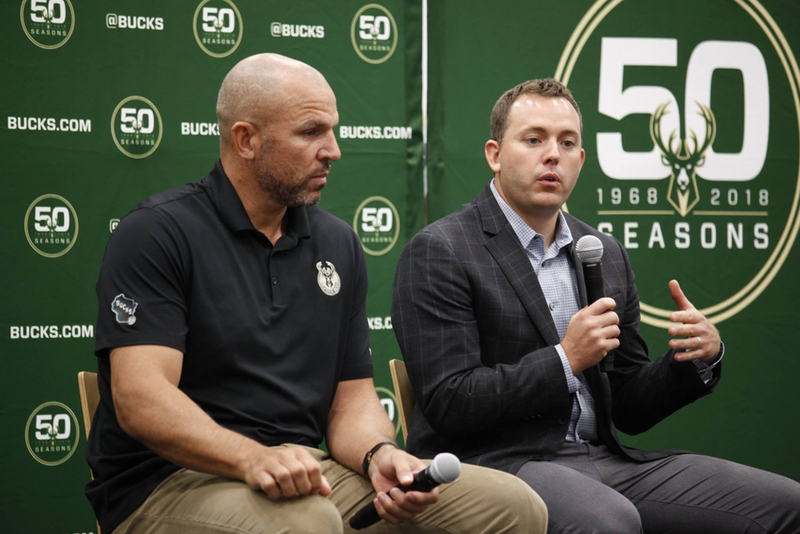 He is actually one of the longest-tenured Bucks employees. He’s just been behind the scenes. 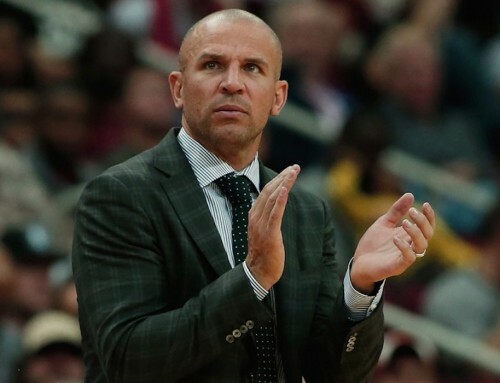 Now, I think he is excited about this opportunity that he has, and I think he is going to do very well with the opportunity of continuing to help the Bucks get better. Everybody is living and breathing the culture that has been built here for the last four years, together. We’re seeing it all come together, and I think that makes it a lot of fun. But it also can help make things a lot easier too. Hopefully that can be to our advantage going forward, with all the change that’s taken place in the league: having guys who have gone through some of the battles here the last couple of years, and who have been maturing. Even though we are still young, our maturity level has risen. The guys who have been in the league and gone through a couple of seasons, they now know what it takes to win. Those experiences can only help you once you’ve been through it. While we focus on what we can control, everybody has seen what is taking place at the top of the Eastern Conference this summer, particularly with Boston and Cleveland. Those are the teams that finished in front of us. Those are the measuring sticks. When you look at Cleveland, they are the team you have to beat. LeBron has taken his team to the Finals seven years in a row. So it starts with them. They’re the team to knock off. Then you talk about Boston. You talk about Washington, and Toronto, who knocked us out last year. 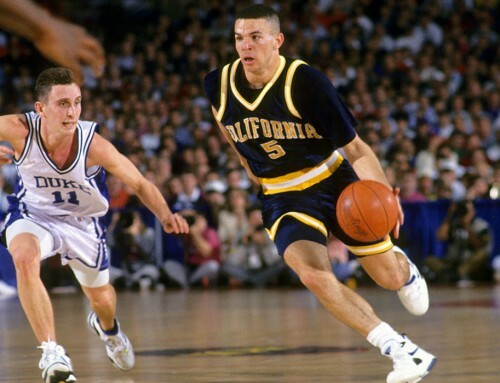 You’ve also got some younger teams that have gotten better, too. So you look at Philly and some of the teams that have been outside looking in, they are improving, too. We have our work cut out for us. We’re still young too. But internally, if we have gotten better, we should be able to compete with the elite. You want to compete against the better teams. But also, first things first, you have to win the games you’re supposed to win. That’s where we start. 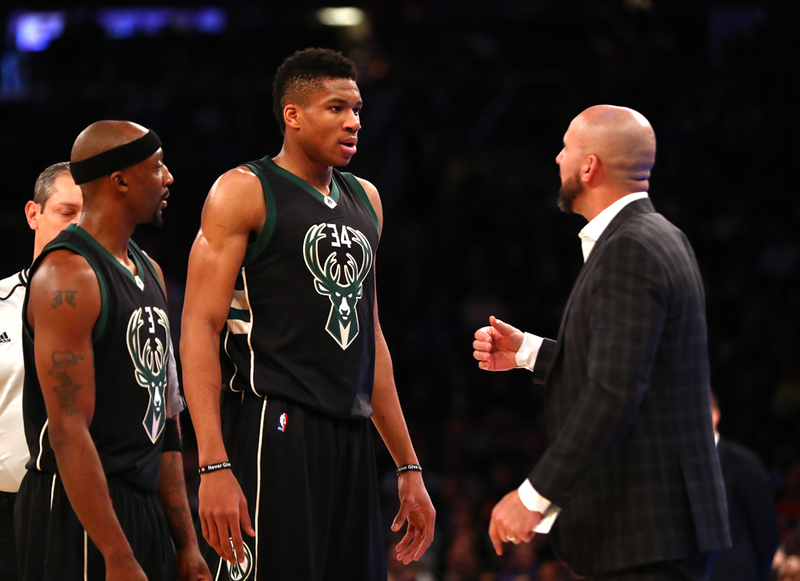 A 50-win season is something that hasn’t happened in Milwaukee in 16 years. We would love to clip that bar. Especially in the sense that, if we can put that type of season together, good things are happening. That puts you into an elite group. So hopefully here, if not this year, next year, we’re at that bar of being consistently talked about as winning 50 games. When you look at the elite franchises that have built the culture of winning, it takes time. If you look at Golden State, it took time before they became champions. I think you look around the league, you talk about Golden State, San Antonio and Houston in the West, or Cleveland, Boston and even Toronto, as teams that are consistently winning 50 games and finding themselves in the Conference Finals. That is the way you want to build it. Personally, I’m still learning and growing, too. I’m a young coach. I’ve only been at this five years. I’ve got a long way to go. There is always something new to learn. And for me, it is always going to be, “How can I get better?” Just like it was for me as a player. There is always room for improvement. You can’t get stagnant. You can’t rest on your laurels. You’re always trying to add something. At the same time, you’re always working on the fundamentals and basics so that you can help your team. I’m still trying to understand how I can get better with preparation, putting guys in a position to be successful. It starts with being patient. I think a lot of times you can want things to happen right away. Sometimes, you just have to be patient and keep helping the guys understand what it means to trust. The simple things can sometimes be the biggest challenge. We take for granted that making a simple play can lead to success. So sitting there watching our guys maybe miss the simple play, I have to understand that I see things that my guys might not see, and figure out how to teach that to them. That starts with asking them what they are thinking so that when I see it again, I kind of know what they are thinking in that moment. It gives me a different perspective and allows me to make it a constructive conversation. It helps teammates understand each other, and how they all think, too. Just asking a question, so that they can explain their way of thinking, goes a long way. I can see that they are learning, and getting better at anticipation, which is always a good thing. I’m trying to get the best out of them. I’ll remind them of that. And I’m honest with them about it. I’ll ask. “Are you giving your best? Because if you are, my job is to try to get a little bit more out of you.” If you want to be the best, then it takes a coach being honest and telling you what you need to do to get better. I have a great relationship with all my guys. So when something is being done wrong, it’s, “Hey. I’m not here to criticize you. I am only here to help. And the mistakes that you make, let’s just take a look at it and let’s see if you can do it this way.” Most of the time, they respond in a positive way, because they know I will never lie to them and I just want the best for them. So I think there’s trust that I’m an extra set of eyes. 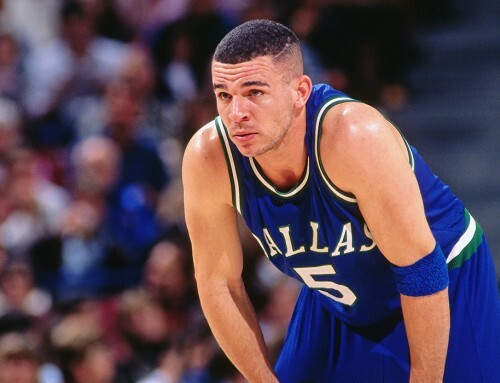 Sometimes as a player, you don’t want to hear some things because you think you’ve got all the answers. It’s my job to hold them accountable, and part of that is helping them understand that we are all trying to do the same thing, achieve the same thing, and that’s to win. 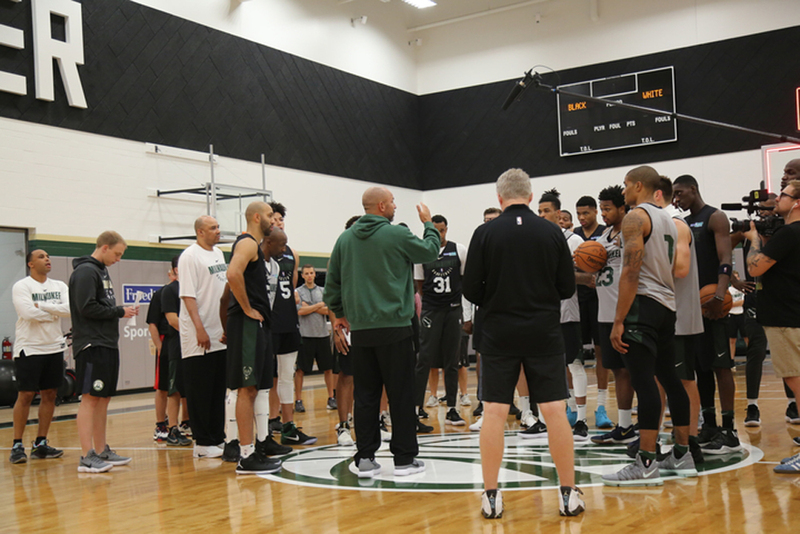 The guys here in Milwaukee, they want to win; they are hungry to win, and they work extremely hard. They bring the challenge to me. They all want to be great. So my job as a coach is to help them achieve that. And so, when you talk about Giannis, and you talk about Jabari, and you talk about Khris Middleton, they want to be successful. They want to be leaders. They want to achieve great things. That is a great responsibility on my shoulders to help them get there. We have a lot of talent on this team. It’s hard not to be excited about where they can go. Giannis was an All-Star last year, the NBA’s Most Improved Player, but he wants to be even better, and he knows he can be. His confidence grew last year. His feel for the game grew last year. 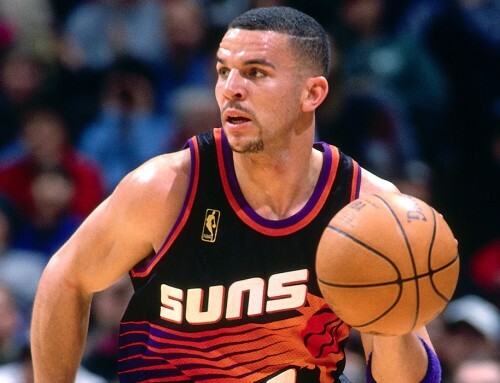 You could see that on the floor in his vision and his trust, in being able to be the point guard and make his teammates and his team better by proxy. It just shows how talented he is at the age of 22. And I think as he starts to understand the game more, how to manage the time and the score, and what he is able to do, he will continue to flourish. That is what makes it a lot of fun to be a coach, coaching him, and then also just to see the hard work that he puts in and the success he gets out of it. A strong work ethic is a constant through our team. 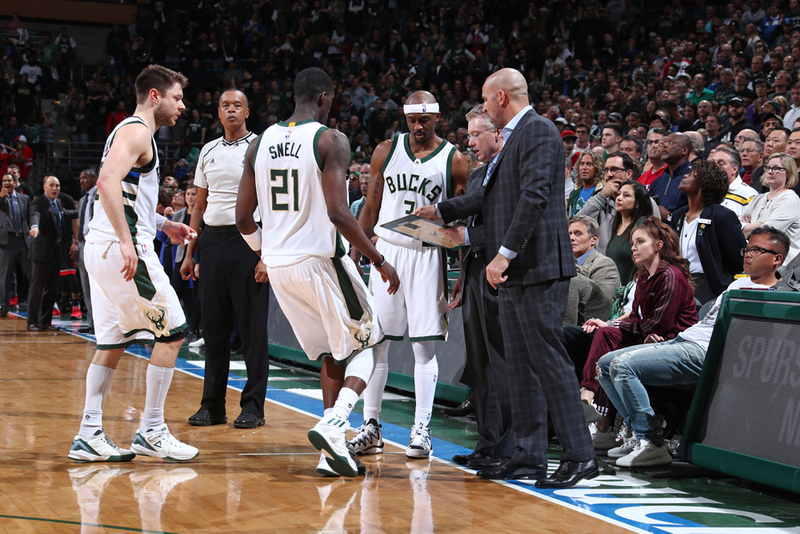 You look at Jabari, he works extremely hard as an individual already, healthy or hurt. He’s on that comeback trail again, and he’s done this before. He has battled back from this. And I think that experience is only going to help him going forward. There is naturally going to be a little doubt about the injury, because of the nature of it. But the big thing is that the harder he works, he will see that he can still have success coming back from that injury. I think he still has the opportunity to be a star in this league. The onus on me is to help him get there. How can I make the game easier for him so that he can play for the next 10 to 15 years? That’s my challenge. All these guys on this team still have a chip on their shoulder. They want to get better, and that is fun to work with and be around. Thon Maker came into the league last year and the learning curve was steep, but he figured out what he needed to do. This summer, he worked extremely hard, particularly in the weight room. So he is getting stronger. He has put on 12 to 14 pounds. I think you’ll see it reflected in his game this year. Defensively, he’s already a big plus for us. But his ability on offense to stretch the defense, to put the ball on the floor and play in the post, will be better. It’s going to come together for him with more minutes on the floor. But getting stronger so he can run the marathon was also very important to his development. His energy, effort and spirit are his strengths, and we need them. Another guy who came in improved is Malcolm Brogdon. He had a heck of a year last year, winning Rookie of the Year. But he didn’t rest on that. He worked extremely hard to take the next step. He’s hungry. He’s a winner. He wants to win. He knows how to play the game. But he also knows he still has room to improve, and as he continues to grow, that can only help us. There’s a lot of talk about our younger guys, but one of the guys I’m most excited to have back out there for a full season is Khris Middleton. We missed him early on last season, but when we got him back, you could see that we were pretty good with him in the lineup. And the thing is, he is still a young guy, too. He’s only 26 years old, but he’s one of our veterans and leaders, one of the longest standing Bucks behind John Henson. Khris is the security blanket for everyone. He keeps everybody from not getting too low or too high. Everybody has a calmness when he is on the floor. His calmness, his work ethic, his reliability and his willingness to be a leader — all set the tone for the team. He is also a very talented, intelligent player. I think he has had a really good training camp and preseason so far, and I’m looking for him to hopefully be an All-Star in this league. We have depth, too. Moose and Henson are two guys that do different things but give us a lot of frontcourt depth. With Moose, it’s being able to score the ball, I thought he had a great year for us last year and he is a guy that hopefully can think about being Sixth Man of the Year. 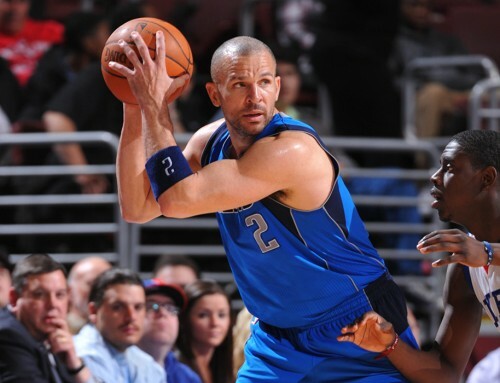 With Henson, it’s all about defense and he sets an example for his teammates in that regard. Then we have the two young guys, D.J. Wilson and Sterling Brown. Those two rookies have worked extremely hard this preseason and they are going to play. They will get some time this season to help us because things happen during the season. Guys go down. Our health is going to be vitally important to our success this season. If we can stay healthy and put some minutes with our main group together throughout the season, that would be a plus. Last year, we started the season without Khris, and it hurt. This year, we start without Jabari. But the key difference this time is that we knew what to expect coming in a little better. 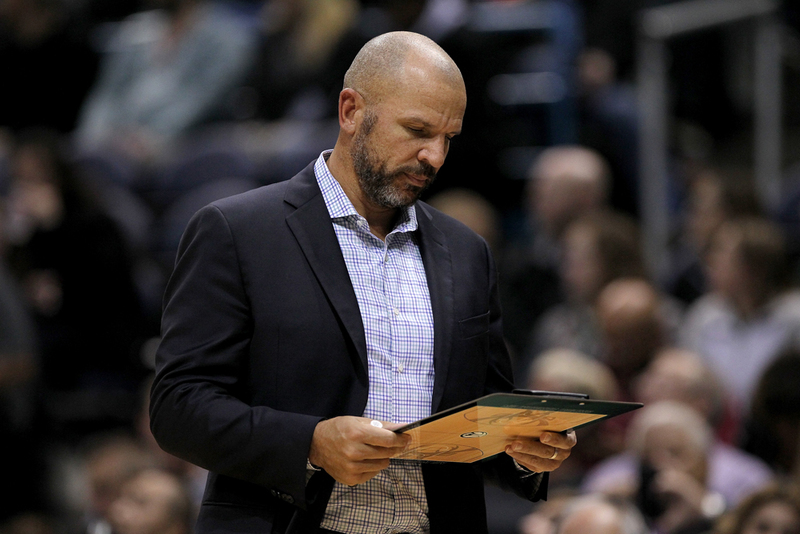 Last year, we lost Khris right before the season, and then we lost Jabari during the season, so you have to reshuffle the cards a little bit, and try to figure out how to keep it going in the right direction. This year, we know what’s taken place and we have a plan. We have been through this before, with guys being out, so the next guy has to step up, and be prepared and ready to go. 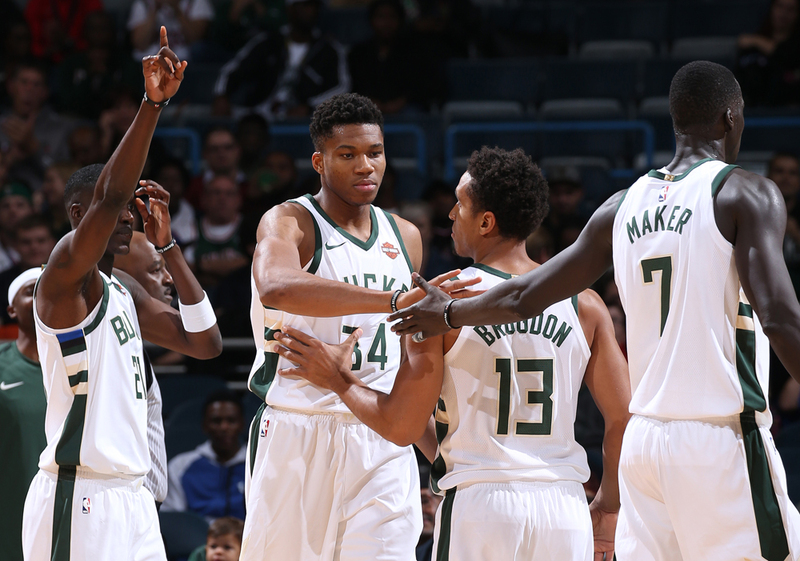 We’d love to be fully healthy, but unfortunately, that is not the situation, so we have to go with the guys who are, and not just wait until Jabari comes back in February. We’ll be ready. 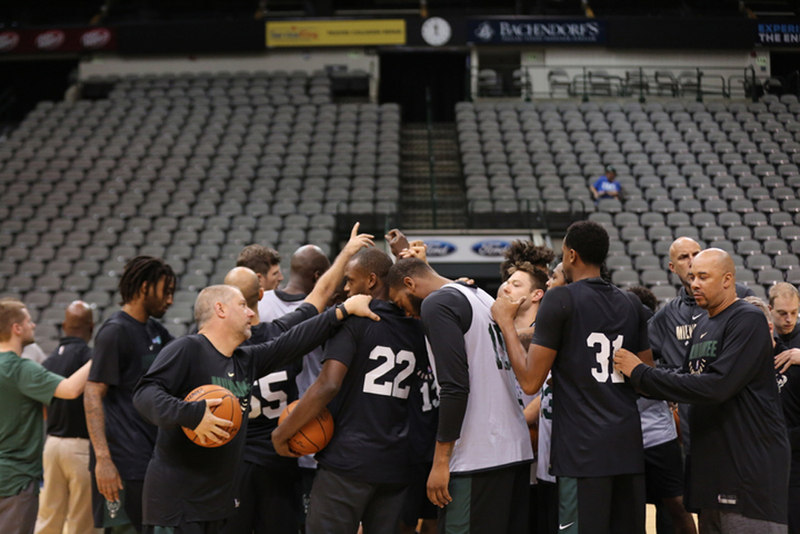 There’s excitement about the growth of this team here in Milwaukee. Everybody sees the team getting better, and has kind of rallied around us. Milwaukee is a great sports town. The people here in the Midwest are extremely nice, and I have really have enjoyed the time here. They support their Bucks, and they’ve helped us grow. I want to thank all of our fans for their support. We look forward to another incredible season. The one thing we have always talked about is playing hard, and playing as a team, win or lose. We want to go out there, and hopefully, put ourselves in a position to win a championship. That’s the goal. We’re all very excited for the present and future of this team. We just opened an incredible new practice facility. Next year, we will open a beautiful new arena. There are a lot of positive things taking place that we can build off, and I think we are all excited about that. Now it’s just a matter of putting it all together. I believe that we can.